The Indonesian air force has intercepted and downed Australia’s light aircraft Beechcraft 95 for violating Indonesian airspace. Observers from the Organization for the Security and Co-operation in Europe (OSCE), who are working in the Rostov Region, have not detected any violations of Ukrainian airspace by Russian helicopters, the head of the mission Paul Picard said. Ukraine’s State Aviation Agency imposed transit regulations on Russia’s Aeroflot and Transaero air companies, allowing transit across the country’s airspace only after receiving a permit for each connecting flight, Ukraine’s Ministry of Infrastructure reports. A light aircraft, which briefly violated the airspace of Russia and then Lithuania earlier in the week, was forced down to land by NATO fighter jets in Latvia, the Lithuanian Defense Ministry said. 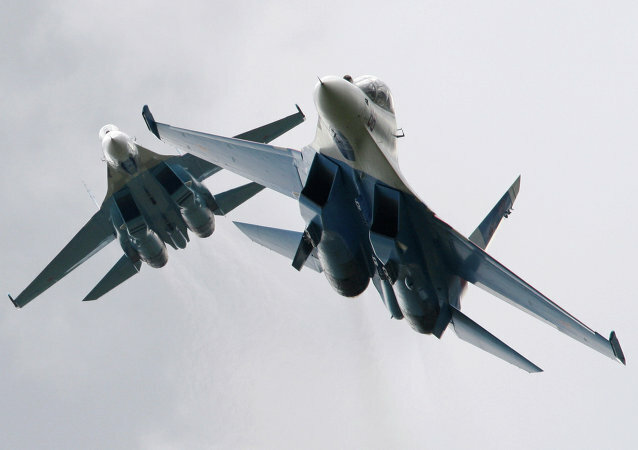 Two Sukhoi Su-27 fighter jets were scrambled earlier this week in response to an alert that Russian airspace over the Baltic Sea had been violated by a small passenger plane, the Defense Ministry said Wednesday.